Driver Updater scans, analyzes and Updates the system driver effortlessly and ensures an optimum performance of the system. 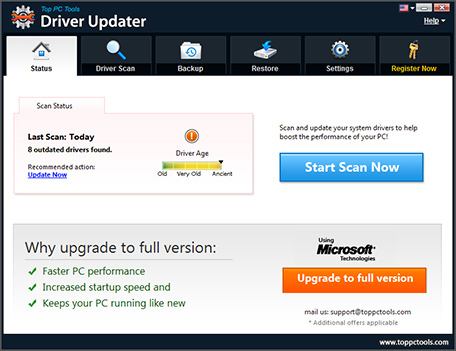 It enhances your computer’s performance by automatically scanning for obsolete drivers, downloading and installing latest updates. 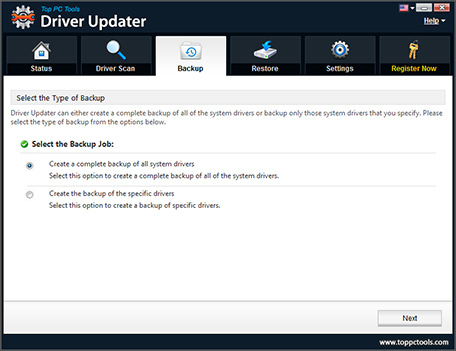 Driver Updater backs up all your drivers in their existing versions. If anything goes wrong after updating, you can always restore your drivers to their original state. You can also schedule automatic scans that will take care of all your update related issues. You can choose weekly or daily scans for an up to date computer. 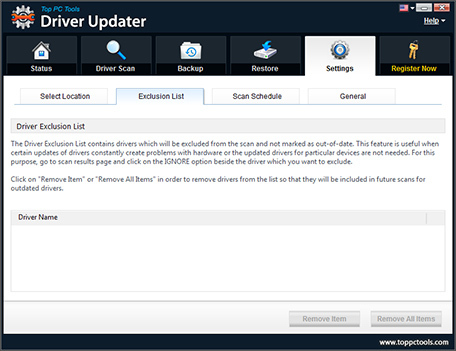 With Driver Updater you can also exclude specific drivers from being scanned or updated. This is useful if you have compatibility issues with any particular driver’s latest version. 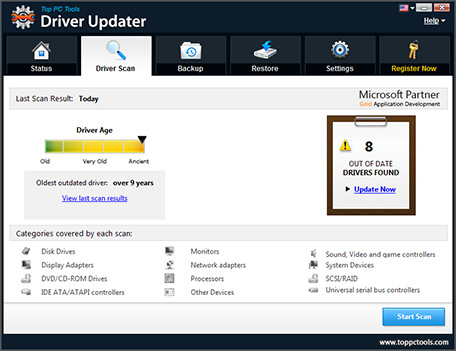 Driver Updater is fully compatible with both 32 bit and 64 bit systems running Windows 10/8.1/8/7/Vista & XP.